Even seasoned business professionals can benefit from having legal counsel on their side when making a purchasing decision. 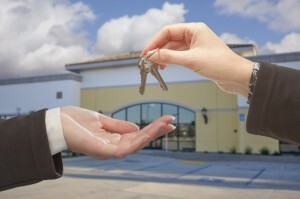 Here are 3 advantages of hiring an experienced lawyer to help when purchasing real estate commercially. Real estate purchases are overseen by state laws, not federal and in some cases both. In order to comply with city and state requirements, an experienced Silicon Valley commercial real estate lawyer should help oversee all commercial real estate purchases. Some local jurisdictions have laws that one could not imagine. Often these laws impact uses that are a material consideration for your business. Structure Law Group’s experienced team is well-versed with the ins and outs of California real estate law. Local laws and zoning requirements are complex and can very well limit the uses on the property you are considering. In order to avoid making a costly mistake, a commercial real estate lawyer can advise you on the viability of your proposed use of the property. A simple mistake or omission in a real estate purchase contract can have tremendous implications for both the buyer and seller. Take the time to hire an experienced real estate attorney to guide you through your purchase, the earlier in the transaction the better.